An immigrant, like myself, new to this foreign land with it’s strange and scary indiginous population. Three weeks after moving in I decided my room needed a greener hue. A nice leafy plant in the corner arrived shortly, with this petite passenger as an unexpected stowaway. 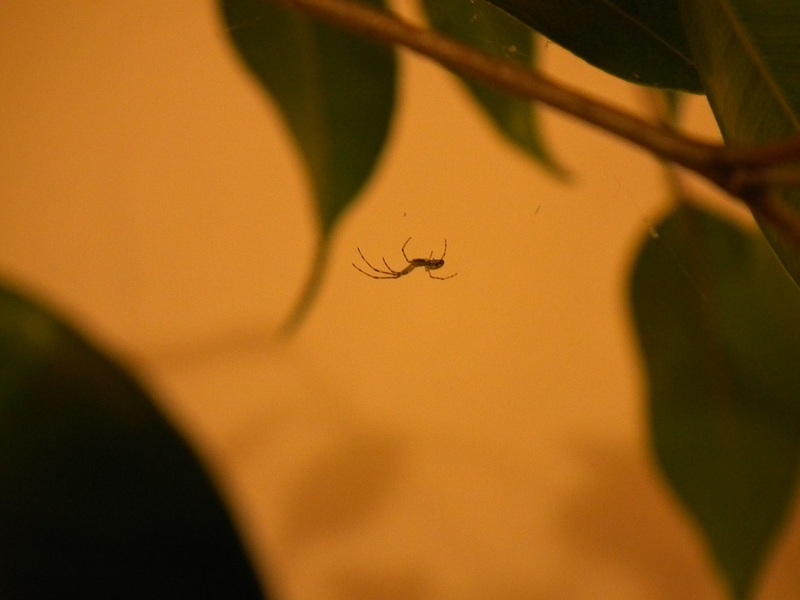 Too small to worry too much about, I thought, as I shined the waxy leaves, careful to not wreck the web too much. Two weeks later it remains, keeping a low profile, trying to not upset the neighbours. Scaryness: 2/10. Too small to be terrifying. Likes green plants. Doesn’t wander. I almost like it.